Talladega RV Rentals is not associated with RVshare. 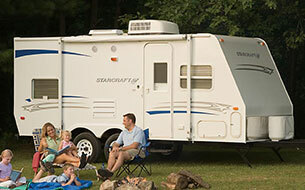 This page is simply a resource, providing more information on all RV rental options, including Talladega RV Rentals. Are you about to start planning a fun vacation to the Talladega area? It's time to think outside the box when it comes to getting where you want to go without paying too much or jumping through hoops just to score some travel deals that come with tons of stipulations. Some vacations exceed all expectations because they don't have any limitations. This is what it's like when you travel using a fabulous rental RV that provides everything you need to be comfortable and in control during your vacation. Are you ready to find a rental RV that will feel like home while you're on the road to Alabama? Take some time to learn about all the ways a great RV can help you plan the best trip of your life. Travelers in Alabama know that this gorgeous state is best seen from inside a roomy RV that offers plenty of great features. Are you looking for camper rentals near Talladega? 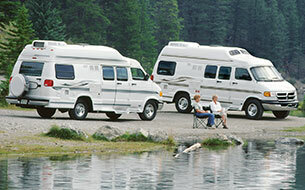 You have a few options to choose from when it comes to finding a perfect RV for your trip. Of course, finding a rental online is a great idea if saving time is a top priority. 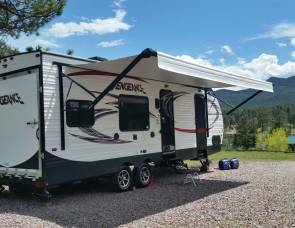 You can actually browse thousands of listings for available Talladega camper rentals using a popular peer-to-peer platform. A peer-to-peer rental platform for RVs works the same way popular rental websites for homes and rides do. You'll be free to look at pictures and descriptions without making any commitments. 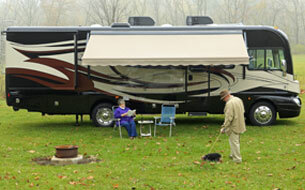 You can then reach out to owners when you find available RVs that match what you're looking for. 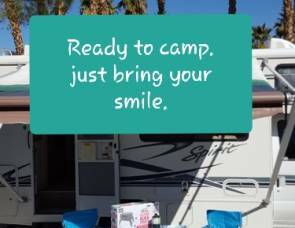 RVshare is the leading peer-to-peer RV rental platform. Here, you can browse thousands of RV listings all over the United States, and there are plenty in Talladega. With RVshare.com, you can really get to know the RV owner you are renting from, and you can get that personal experience. NASCAR fans love visiting the Talladega Superspeedway when staying in Alabama. The speedway actually has a special space to accommodate campers. This means you can enjoy a cheap and inexpensive way to stay comfortable while you're visiting this popular attraction. Are you looking for Talladega speedway RV rentals? There are some rental options that you can book directly through the speedway. 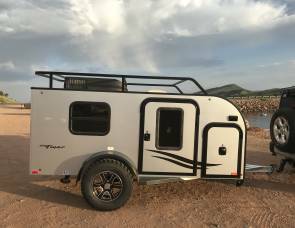 However, many travelers find that they can actually get better deals if they simply pick up rental RVs near home before heading out on the road. It's never too soon to start browsing the options that are available to travelers like you. A day at the track can feel like the adventure of a lifetime if you use a fabulous RV to get to the Talladega speedway. A roomy, comfortable RV is just what you need if you're packing the whole family up for a vacation to remember. Of course, a rented RV also works great if you're bringing a group of friends to visit a place that's very special to you. There's no limit to the memories you can make while visiting this historic track. The best part about staying in your RV instead of booking a nearby hotel is that you'll be so close to the track at all times. There's no question that an amazing RV offers the perfect way to experience the fun of Talladega. 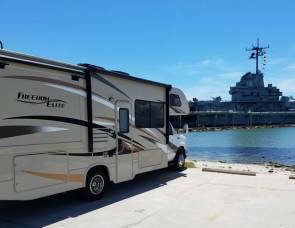 You simply won't be able to match the energy levels that can be enjoyed when you have a fun and roomy RV to call home when you're camping out at one of America's best attractions. People love staying near the Talladega Superspeedway because there's such a festive atmosphere there. You'll love all the positive energy that's in the air as you meet other fans and get to see important pieces of racing history. Of course, nothing is better than knowing you don't have to go very far to get back to your RV to rest or prepare a meal. Staying in your own RV while visiting the track is truly like having a piece of NASCAR right in your yard. Are you tired of being disappointed by ordinary vacations? It's definitely time to leave the old methods of booking airfare and hotel rooms behind. You already know that flying your entire family to a destination can cost thousands of dollars. Of course, that only leads to paying for a hotel room for several nights and renting a vehicle to get around in. The amazing thing about a rental RV is that it covers all three of those categories with one reservation. In addition, you'll get to enjoy all the storage room you need to pack along your own bedding, extra clothes, food and more. You may even be able to travel with your pets without paying extra fees if you use a rental RV instead of flying. If you've never used a rental RV before, it's important to take the time to do some research regarding your options. Many people choose not to use formal rental agencies because these companies often have limited selections and rigid restrictions. 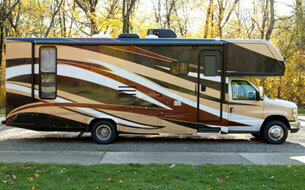 Many travelers actually prefer to rent RVs directly from owners. Of course, responding to listings and posts on forums can be a risky decision. There's no guarantee that your payment will be secure or that the owner will meet their end of the bargain when you go with this method. The good news is that there are now secure peer-to-peer platforms that provide convenient ways to browse listings, contact owners, make arrangements and pay securely. Many travelers have discovered that these online platforms actually help them to save money.